For Coppell pool owners, we offer a Partial Service Plan and a Full Service Plan. Coppell Residents: Because our pool service programs include chemicals, minerals, equipment checks and pool cleaning; the water treatment is guaranteed. Blue Science monthly rates in Coppell vary and depend on the size of the pool, whether the pools has a spa, whether there are trees and shrubs nearby, and other additional features that a pool might have. Blue Science is a residential and commercial pool cleaning and service company with many weekly routes in Coppell. Our Coppell service technicians provide swimming pool cleaning and maintenance for home pools, apartment swimming pools, community swimming pools and commercial pools. 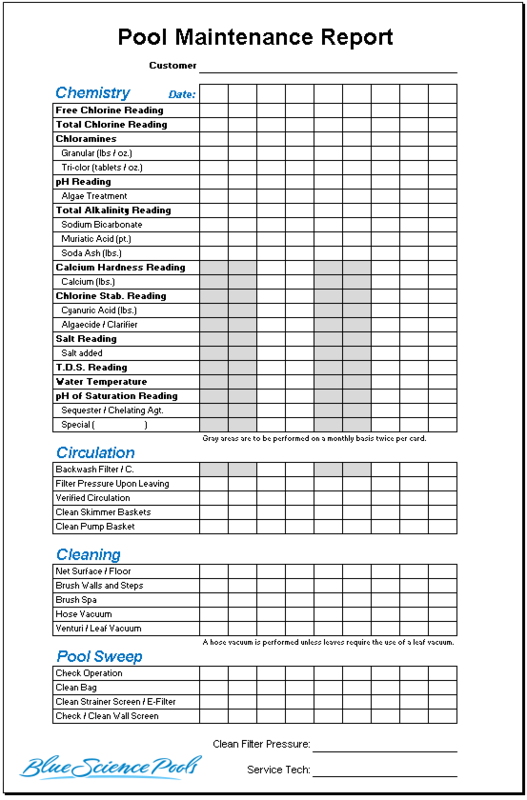 Your assigned Coppell service technician will leave a pool maintenance report each time service is performed on your pool. Coppell is a small Texas city of just of 40,000 people located in Denton and Dallas counties, Texas. 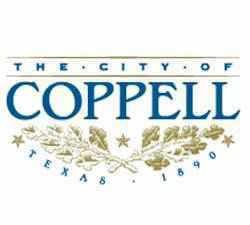 The area of Coppell is 15 square miles. Notable attractions to the city would include its close proximity to Valley Ranch and the Dallas Fort Worth International Airport. The city is not home to any major corporate or retail firms. Coppell's recreation department provides one aquatic center that contains both indoor and outdoor swimming pools. Coppell has a competitive swim team, the Crocs, who compete every summer under the Texas Amateur Athletic Foundation. Coppell has uniquely convenient automobile transportation; no freeways go directly through the city, but the entire perimeter is served by SH121 and the Sam Rayburn Tollway (west and north), Interstate 635 (south), and the President George Bush Turnpike and Interstate 35E (east). This makes it pretty easy for us on our pool service routes! When providing pool repairs and equipment installations in Coppell, we use only supplies and parts from top pool companies.